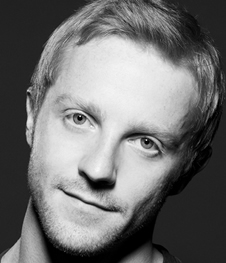 Favorite roles/choreographies: Romeo (MacMillan), Colas (Ashton) and having new works created for me. Message to the Prix de Lausanne candidates: The Prix de Lausanne is an opportunity for you to explore the world of Dance and learn whilst performing on an international platform. The competition is a chance for you to talk, listen and seek help from many people who are currently involved with the world of Dance. Of course, receiving a Prize is always nice, however the knowledge you will gain from the networking you will do whilst at the competition will be of greater use to you later on in your career. Message to the Prix de Lausanne organisation: Thank you to everyone at the Prix de Lausanne for giving me the opportunity to enter and participate in this great experience. The Prix de Lausanne opened doors for me which would have otherwise stayed closed to a young boy from Sydney. The Prix de Lausanne connected me with Gailene Stock (Director of the Royal Ballet School) who transformed my life overnight by giving me a place at the Royal Ballet school. So Thank you Prix de Lausanne!